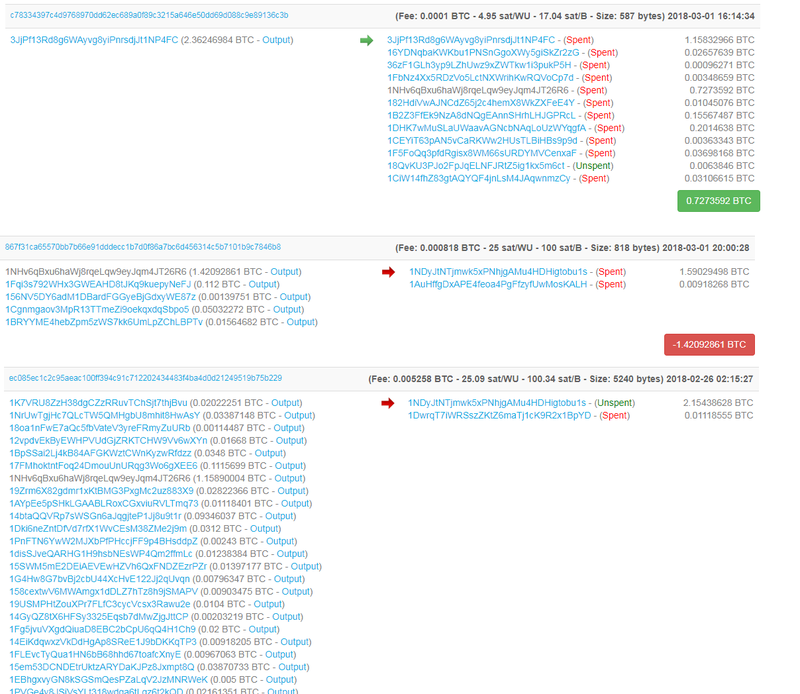 I was checking transactions in blockchain.info. I have some questions about transaction information about input and output addresses. why some of transactions have one input and one output? They don't have any change transaction? If any transaction has two output, the second one is change transaction? can we see fee transactions in output address? Are multiple addresses in input part related to each address in wallet that has bitcoin? what is input and output script? do wallets produce them? how we can use them? why some of transactions have one input and one output? A bitcoin transaction can have many inputs and many outputs. Bitcoin has a transaction oriented logic, where amounts are transferred from previous transactions. As an example (neglecting the fees): to be able to spend 1 bitcoin, when the wallet has 2 previous tx with amounts of 0.5 BTC, then a new tx is created with two inputs. Same logic would apply, if 4 previous tx existed, each @0.25 BTC. Then a tx with 4 inputs would be created. For the outputs: you can create tx with one or more outputs. E.g. faucets pay to many outputs, instead of creating single transactions - this saves on the fees. They don't have any change transaction? not necessarily. 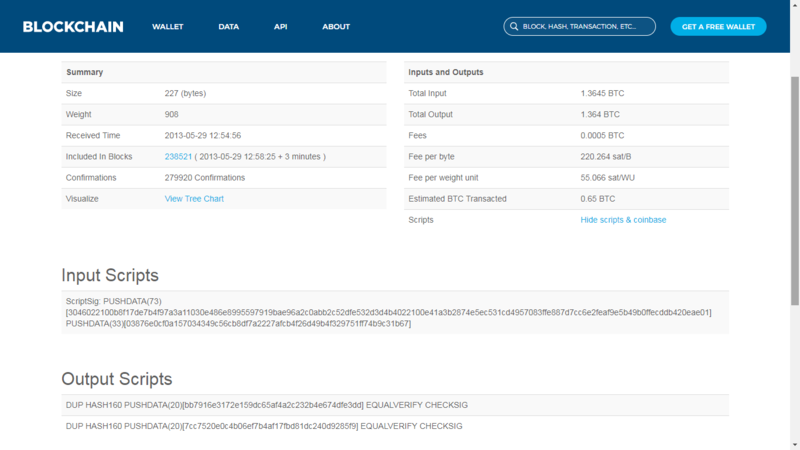 I can send a transaction with 0.5 BTC to my brother, and 0.5 BTC to my sister. So there would be no change address. hmm, no... Transaction fee is the difference between summary of input values and summary of output values. A usual case: you have one BTC, you send 0.5 to your brother, you send to your change address 0.4995, and the diff is the fees, which go to the miners. Not necessarily. The bitcoin network doesn't know about wallets, and its belonging addresses - this is a layer to make it more comfortable for the endusers. The bitcoin network works with transactions, moving funds from address(es) to address(es). No wallet information is included. So multiple input parts can belong to different wallets. A good overview of transactions is here, and of course in Andreas' book "Mastering Bitcoin", which is also online available. Why does Bitcoin uses a Script language?